A lot of you have asked for a way to capture leads into your CRM to then manage into customers. We told you you’d have to wait. Well that wait is now over. Our first fix of front end lead generation forms is here. And my god. They’re so pretty (or at least I think so, they’re my baby after all – Mike).. 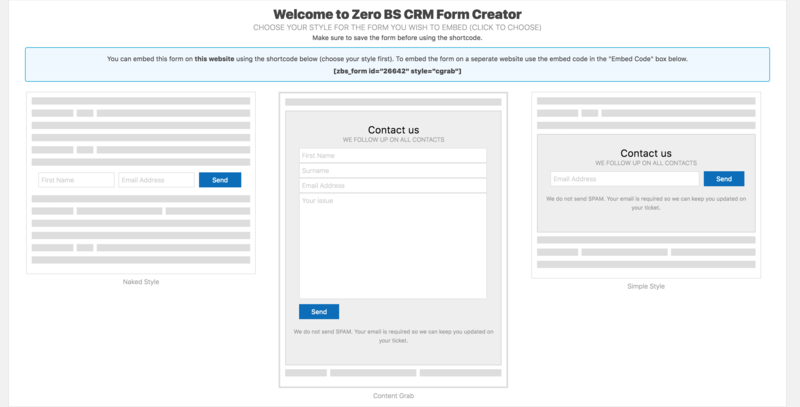 The ZBS Lead Generation Forms is a great way to start getting would be customers into your CRM. Why have we built this and included it in the core for free? It’s a super-useful way to start getting data into your CRM for prospects. So the ZBS forms is now here. Start using them. Start putting them onto your site. 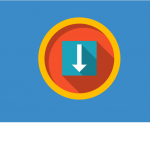 Create a new lead capture form just like you would a normal WP post. Choose a style and embed using either the shortcode or the iframe embed (if wanting to place the form elsewhere). Each form keeps track of how many times it has been viewed and how many lead captures it has made (conversions) you can see the conversion % on the manage form page and you’ll know exactly where the customer contact has been created from with the handy customer automatic logging tool (which we introduced in v1.1.16). You can choose whether or now you want to have captcha included on your forms (for that added SPAM protection). With the combination of Lead generation forms and our powerful CRM solution you can manage your business to success. Follow up with new leads daily and track them towards being a customer using the information and knowledge of how they’ve found you (which form they used to sign up). That’s the definition of a CRM. So the latest update lets you export to CSV your customers, quotes and invoices. You’ve been using the CRM and testing by importing customers, but now you’re ready to go and use it for real. But wait. You have a shed load of test data in there. 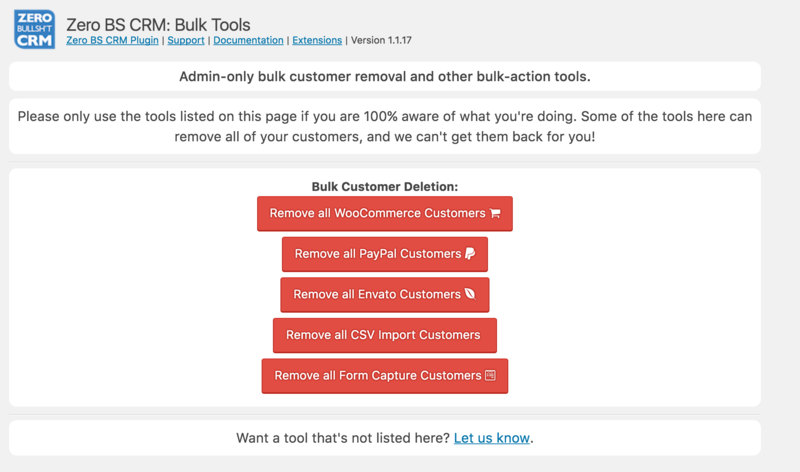 You can now bulk remove your customers. CAUTION: only do this if you want to delete for good. There’s no way to get them back. We’ve also updated the CSV importer to fix some issues where imports failed if the ‘status’ field was left blank. When using the CSV importing tool make sure that all the key fields are populated (even if it means setting them all to “Lead”). That way you shouldn’t come across issues when trying to import your data into the CRM.